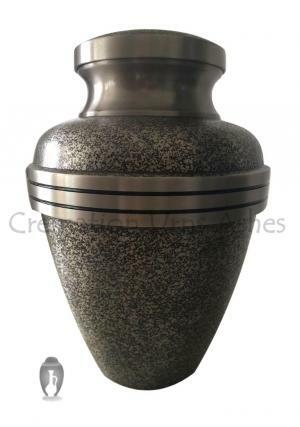 Best Off On Big Harlow Black Adult Memorial Urn for Human Cremated Ashes UK. The harlow black brass urn is hand cast from the highest quality solid brass and black textured finish with pewter. 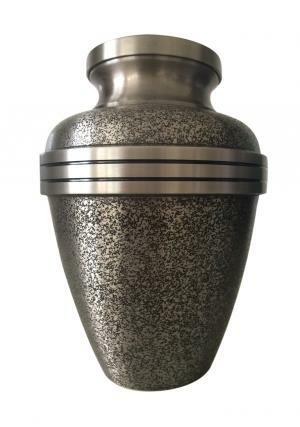 This memorial urn is hand decorated by top professional skilled artisans to store safely of adult cremation ashes. 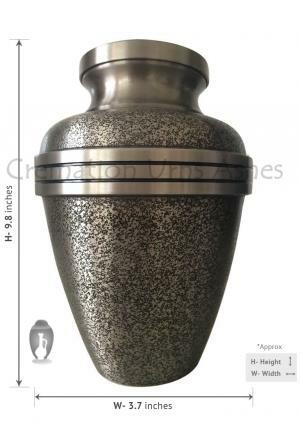 You can keep your loved ones memories alive with this large legend funeral urn. 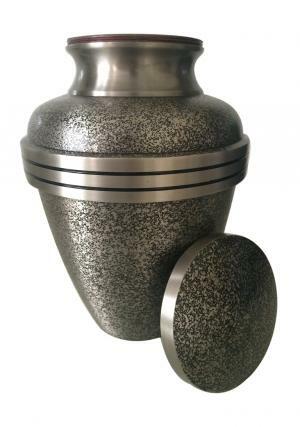 This elegant & bogati adult cremation urns are available at the size of 9.8" height and weight with 2.2 Kg. Buy online this graceful and refined beautiful unique human urns and get free delivery within UK. 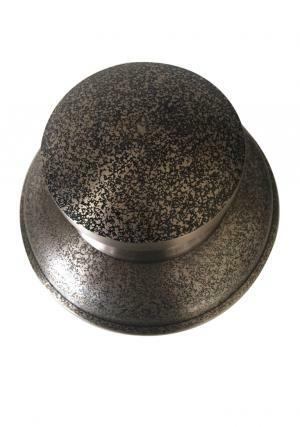 This mainly urns for ashes fulfill promises of your family member who lay to rest. Fill the token amount of cremation ashes in this adult brass urn and place at corner of you home as decorate item and keep their memories always with you.